Enjoy your Tuesday . Buzz buzz. List #2, Position #3 was selected as the winning entry! 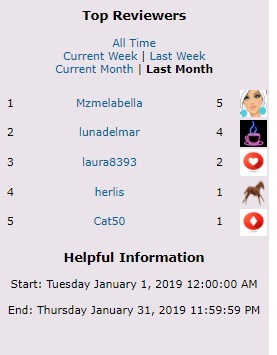 Congrats to shirlsplay our $50 January winner! Thank you sooooooo very much !! Made my day. Congrats Shirlssss ! Enjoy those bucks!